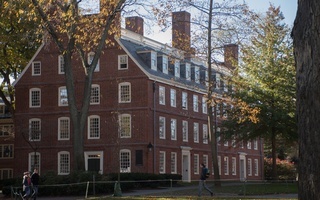 The rally was organized by the Harvard Prison Divestment Campaign, a pro-divestment organization founded in 2018, and the Harvard Organization for Prison Education and Advocacy, along with campus groups including Act on a Dream, the Black Students Association, and the Association of Black Harvard Women. 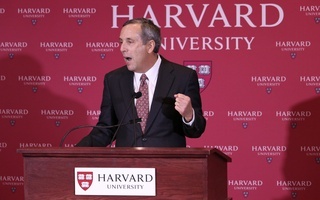 The petition, which has garnered nearly 3500 signatures since its release last month, calls on Bacow and the Harvard Management Company — the University’s investment arm — to withdraw its investments from companies with connections to prisons and disclose these endowment holdings to the public. The petition also demands the University reinvest this money towards programs and organizations that benefit “people directly impacted by the prison-industrial complex” in Boston and Cambridge. 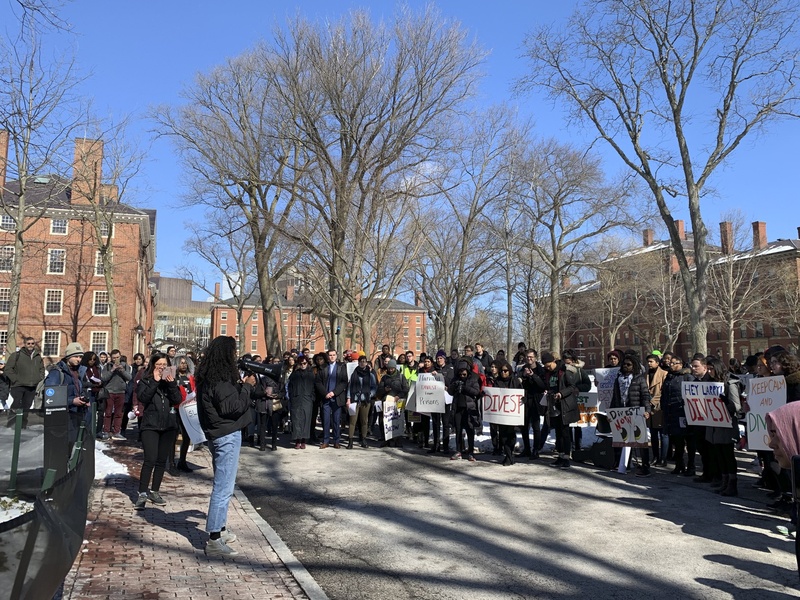 Dharma B. Seda Gonzalez ’22, an organizer with the Harvard Prison Divestment Campaign, said the rally was a “culmination of months of work” for the students across Harvard’s schools involved in the movement. "We're really proud that so many Harvard affiliates agree with us and believe that Harvard should divest,” Gonzalez said in an interview before the rally. University spokesperson Jonathan L. Swain referred to previous statements on divestment in response to the rally and petition. “The University’s position, as it has stated previously, is that it should not use the endowment to achieve political ends, or particular policy ends,” Swain wrote in an emailed statement. For several rally participants, the call for divestment was a personal one. During the rally, organizers encouraged attendees to say aloud the names of loved ones currently or formerly incarcerated. 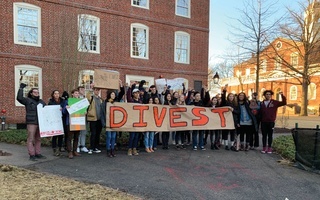 Harvard’s nearly $40 billion endowment has long been a point of contention for activists concerned with the University’s investments in fossil fuels and companies with connections to the prison industry. For decades, University presidents have reiterated that the endowment is not a means to enact social change — a talking point fiercely challenged by those pushing for divestment. The University did, however, divest from the tobacco industry in 1990. When two organizers — Law School student Anna L. Nathanson and Divinity School student Ismail A. Buffins — physically delivered the petition, they said people in Mass. Hall accepted the petition but said they could not meet with Bacow. “Bacow could do more to engage with us and really use his leadership in this situation and represent what his students want,” Buffins added. Despite not meeting with Bacow Friday, organizers said they believe the rally demonstrated an increased momentum behind the prison divestment campaign. "There was a lot of power here today and I can tell this energy is going to keep building,” Natanson said. A previous version of the caption of the photo accompanying this article stated that the protesters called on the University to divest from private prisons. To clarify, the protesters were calling on Harvard to divest from the prison industry.